A new MFA exhibit shows how hippie garb went haute couture. By Matthew Reed Baker·	 6/25/2013, 4:52 a.m.
Photographs by Ronald Traeger, courtesy of Tessa Traeger and Museum of Fine Arts, Boston (“Fashions and Interior by the Fool at the Beatles’ Apple Boutique”); courtesy of David Nutter and Museum of Fine Arts, Boston (Tommy Nutter); © 1971 Rex USA and courtesy of Museum of Fine Arts, Boston (“Patrick Litchfield wearing Mr. Fish”). 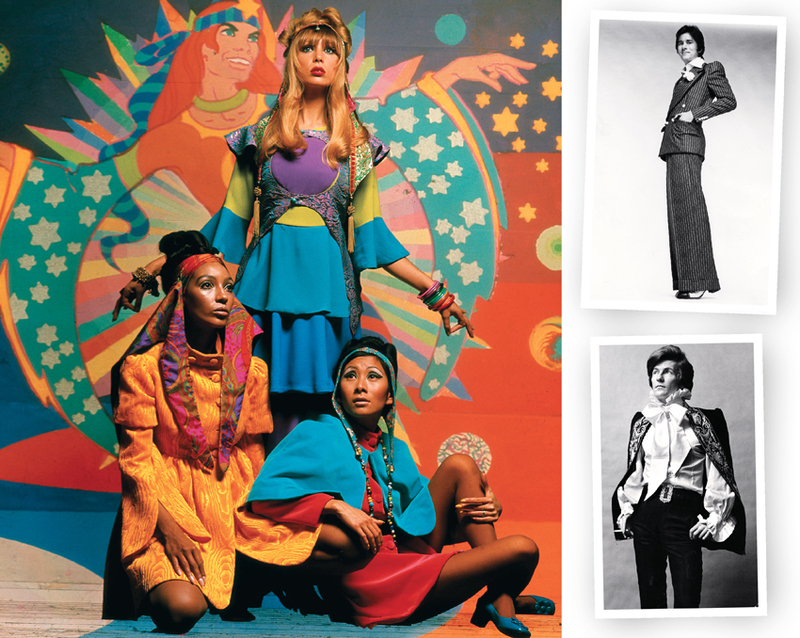 The loudest pulse, of course, was rock ’n’ roll, and “Hippie Chic” showcases outfits from the iconic London shops where the rock stars got their duds, like Granny Takes a Trip and the Beatles’ Apple Boutique, which is pictured at left (the blonde is Pattie Boyd, who would later marry George Harrison and, after that, Eric Clapton).